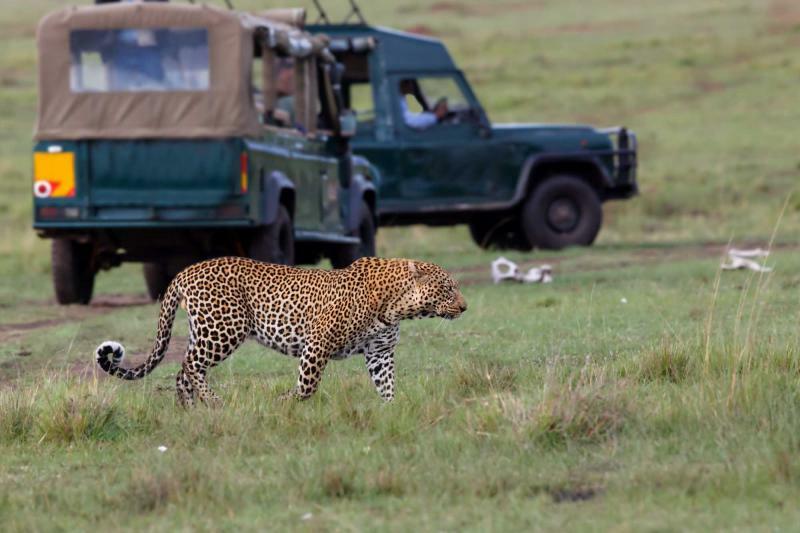 Adventures should never have to end and yours won’t during this highlight tour of Tanzania. The golden plains rise into the horizon, the sun turns the blue sky into a sumptuous red, the lakes reflect the surrounding mountains. 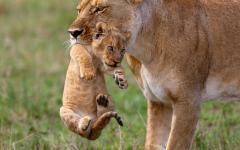 This is the Tanzania that you have endlessly dreamed of, the infinite wonders you’ve always wanted to see and now can. 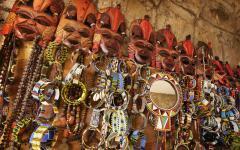 Explore the infinite surprises and rewards of Tanzania on this six-day highlight tour. 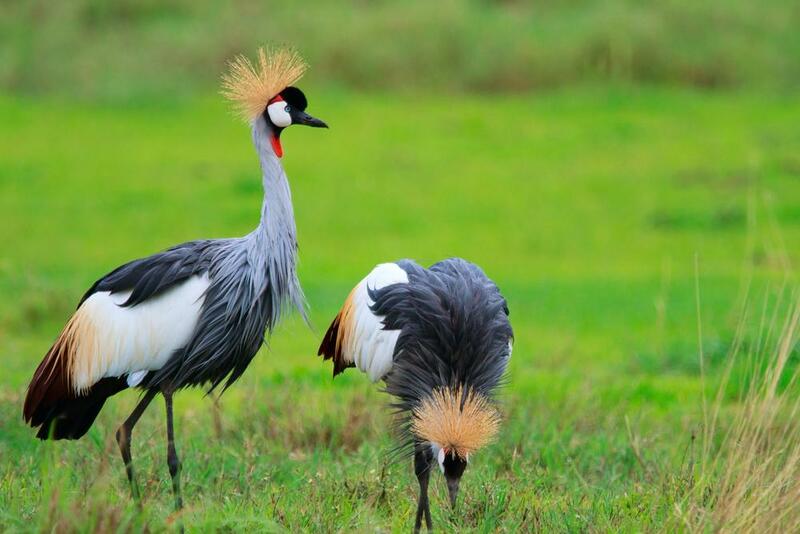 Best experienced in the dry season (Tanzania’s winter months), this tour will have you traveling through a different world, where life began and beauty never ends. 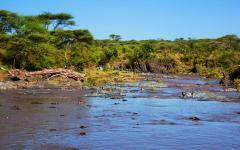 Upon arrival in Arusha you will immediately see Africa’s incredible difference. 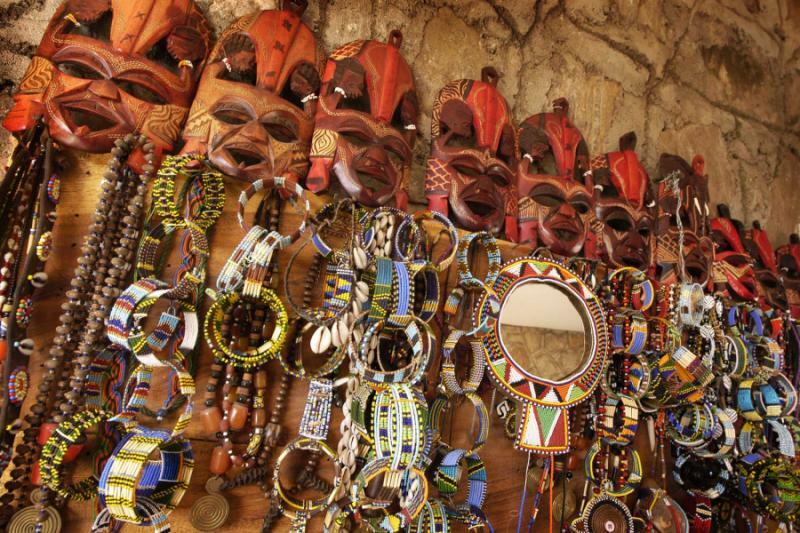 Whether through the cultural tenacity of the Maasai people or the relentless beauty of the wildlife, this tour will have you neck deep in non-stop wonder. 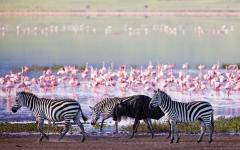 To begin your Tanzania safari, travel through Lake Manyara on an incredible game drive where the landscape transcends our understanding of beauty, and where the scenery mixes with the wildlife to create a riotous abundance of color. 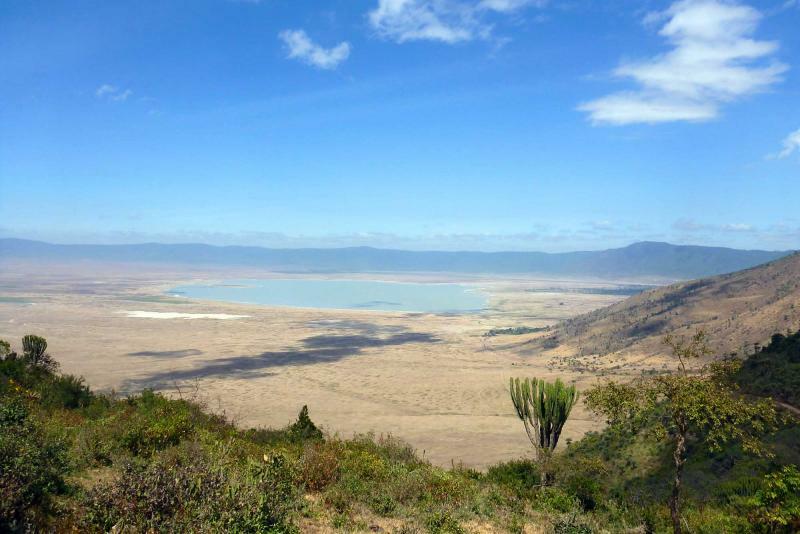 Travel to the Ngorongoro Crater where you will stay on the rim and look over the crater’s edge, down into the infinite amount of wildlife that coexists on the constantly lush crater floor. Spend a day wandering through the Ngorongoro Conservation Area, every possibility is available to you and every opening offers a different adventure. You decide which adventure is best suited for you, even if sometimes the best adventure for you is a day to yourself in the natural quiet of the crater’s rim. 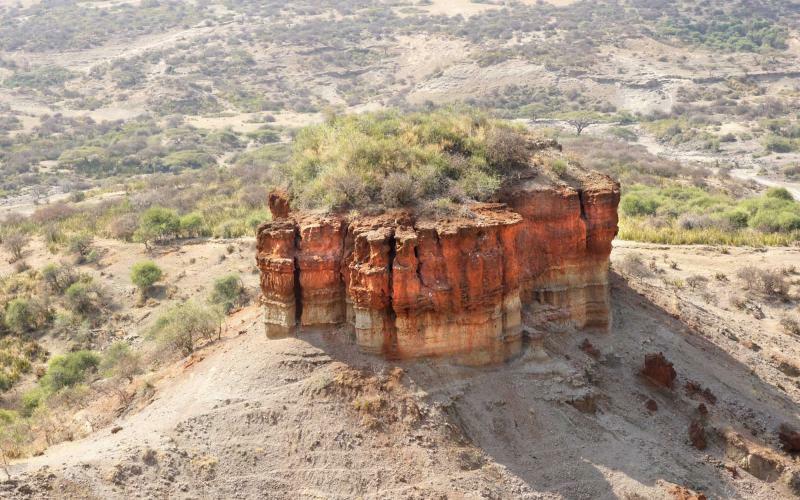 Specially handcrafted for 2019-2020, visit the Olduvai Gorge where fossils have been, and often still are, discovered and displayed. 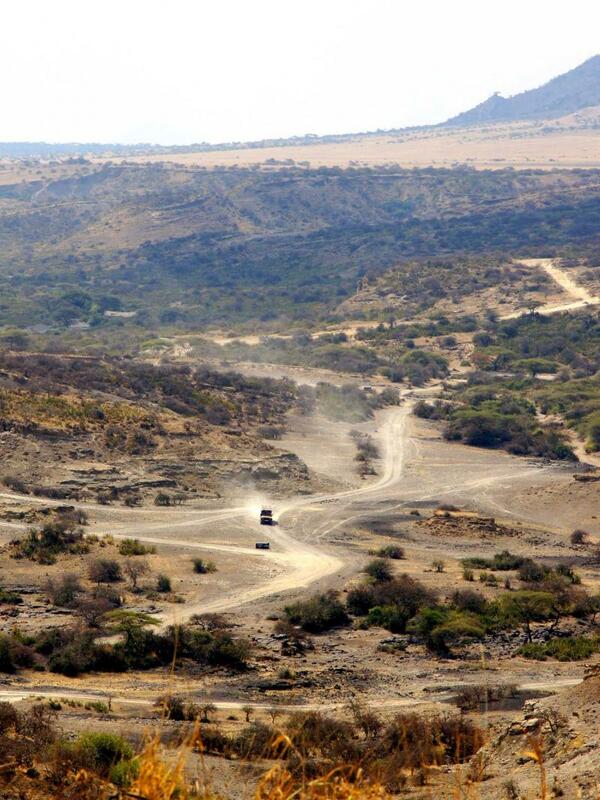 Whether outdoors in the heat of the season or inside the museum viewing photos of Olduvai’s history and the fossils of humanity, the gorge opens up to the world from the inside, but from the outside closes itself off as if it were never there. Continue on to the Serengeti where the plains stretch endlessly and the animals roam through the golden grass that they call home. 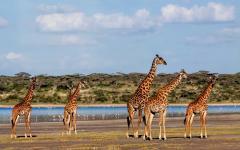 Explore as much of the plains as you can, searching for the Big Five, or the various animals that never made the list, such as hippos, hyenas, jackals, even ostriches. Travel from Arusha to the decadent environment of Lake Manyara National Park and your accommodation at Lake Manyara Serena Lodge. Enjoy a delicious buffet lunch of regional fish and meats. The thatched-roof villas look out over the vast view of lush green jungle. Relax in the warm infinity pool that looks like it extends off the veranda and into the pristine lake. The dew in the air is thick with the aroma of acacias and wildflowers. The branches of the jungle below sway in the breeze and look like the wake of a lively green ocean. The distant sound of chirping birds reaches your room and the plush pillows that decorate the bed. The rich smell of hot chocolate drifts from your cup as you settle into your bed. Indulge in an early morning breakfast as the sun rises over the sunken trees swapping the deep night with a golden-blue morning. 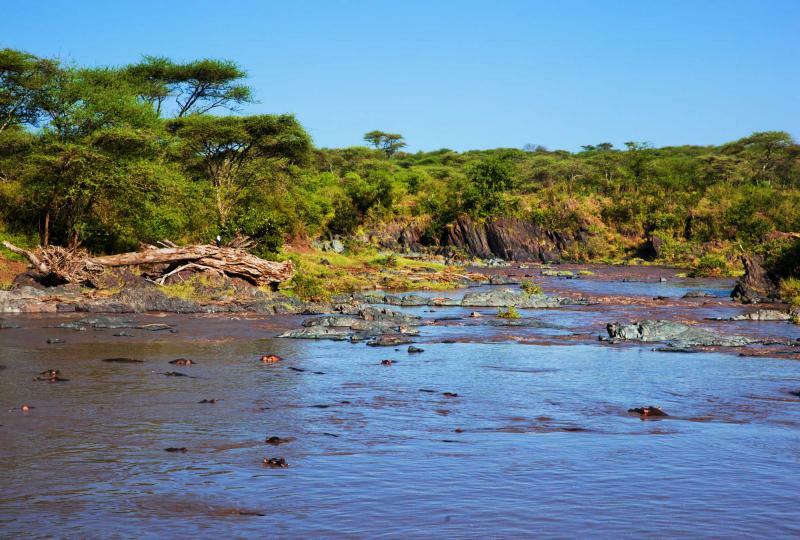 Travel down into the dense jungle of Lake Manyara and find yourself surrounded by the Olive baboons that roam through the brush, picking berries and climbing up the trees. 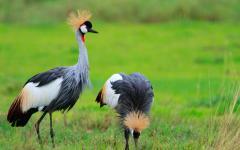 Their large black beaks contrast with their olive fur and beady eyes. They push one another, playing in the dirt and the grass. Their joviality cries into the trees. The baboons scatter into the brush, up the trees, and watch you from the safety of the branches as you rumble past and exit the lush jungle. 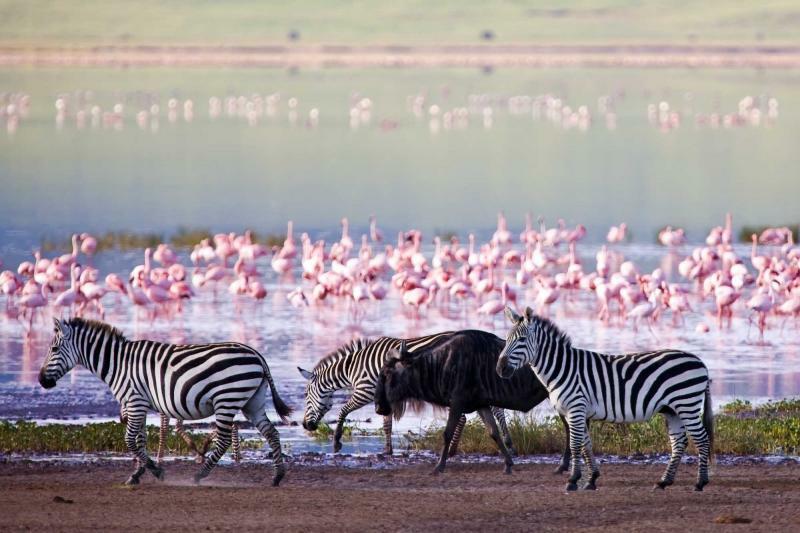 Travel into the open space where the green plain extends into the horizon and the vibrant blue of Lake Manyara mixes with the bright pink of flamingos. 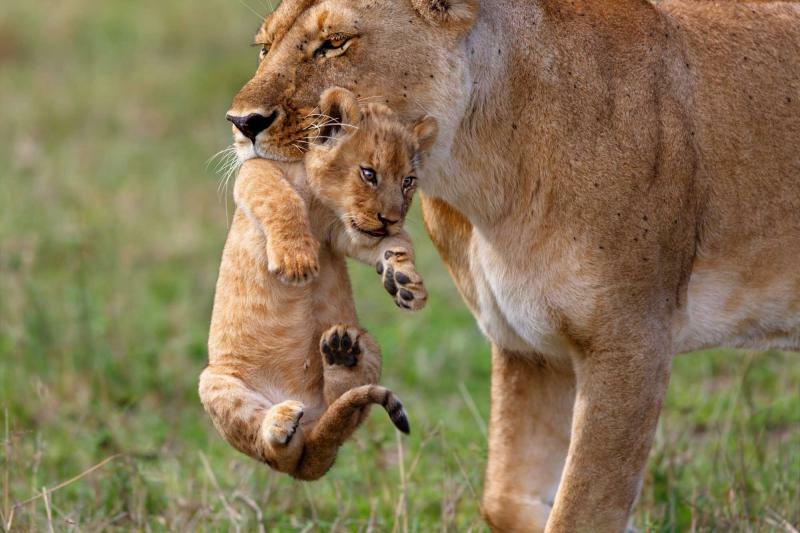 Traverse the gorgeous scenery and scour the plain for the Big Five, which are the five most dangerous animals to hunt in Africa: rhinoceros, elephant, Cape buffalo, lion, and leopard. Each animal is majestic, and each animal causes a rush of adrenaline to pulse through your body when seen, whether from a distance or up close. Cape buffalo roam the plain in herds, their large horns sprouting from their heads like braids. They keep a close eye on the vehicle as it passes by, always curious and dubious of possible predators in the area, even with the low hum of the vehicle pushing you along. Return to Lake Manyara Serena Lodge for lunch, the smells of slow cooked meat filling the restaurant. With the flavors of lunch still lingering on your tongue, take another look at the gorgeous blue lake stretched out below the lodge before transferring to the Ngorongoro Serena Lodge in the Ngorongoro Crater. Wrapped around the top of the crater’s edge and surrounded by trees, you’ll experience the lodge’s view of the entire crater from your window. The lodge is made from dense stone, which helps to keep the facilities temperate and dry year round. The wildlife comes to life in the cool dusk, the sound of lions, monkeys, and elephants parades through the darkening sky; their vivacious noise echoes through the stone building. Choose your adventure from a wide spectrum of possibilities after the new ritual of a rich, early morning cup of African coffee and delicious breakfast. Tour outside of the Ngorongoro Serena Lodge and venture into the conservation area with a guide who can show you the wonders of the Ngorongoro, from its perseverant villages to its wondrous animals. Depart from your lush rock-accommodations and away from the crater’s rim to explore the area’s depths. Let your imagination of all adventurous possibilities run wild; every activity every day can and will be shaped around your requests and today will be no different. 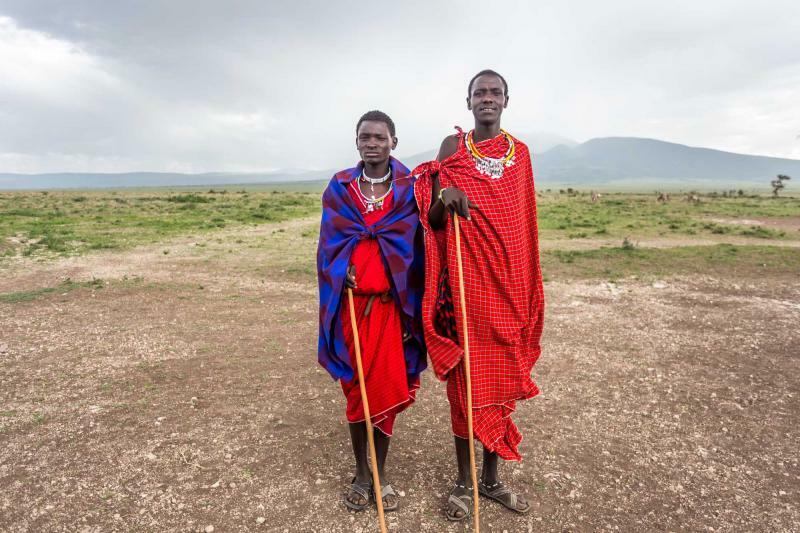 The Maasai villages that dot the conservation area are home to peoples that have held strong to their traditions through colonialism, revolutions, and constant technological evolution. The young boys dress in black cloth, their faces painted white, and they can be spotted sitting high in the trees watching their cattle from the short distance. 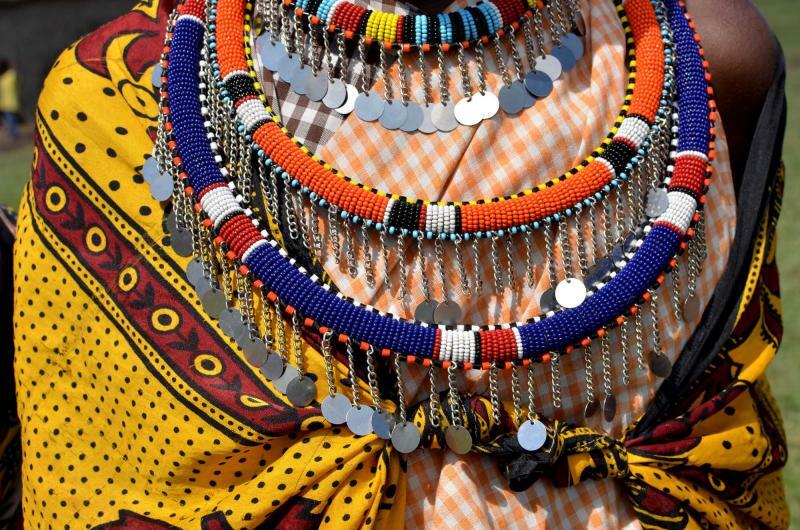 The women decorate their necks, arms, wrists, and ears with bright colorful beads that stand out against their red clothing and dark skin. The children will happily and eagerly grab your hands and tour you through their village made of mud, dung, and sticks, which keeps the home cool in the heat and warm in the cold. The air around the village is often filled with the smell of burning wood as light smoke bleeds into the air from the constant fire. 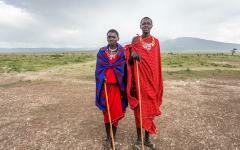 The goats bleat, the cows moo, and you will discover the incredible symbiotic relationship that the Maasai have with the land, their animals, and the surrounding wildlife that grazes around the villages. From the Maasai village you can spend part of the day searching for the elusive wild dog, often with the assistance of a local Maasai guide who’s knowledge of the area, along with the humorous contrast of wearing traditional garb but holding a cell phone, is able to find the incredibly endangered dogs that enjoy a variety of climate, from the cool weather around the crater’s rim to the heat of the Serengeti plains. With less than 4,000 dogs left in all of Africa, their black and gold fur and white tipped tails are a beautiful sight to see. You know you’re close to the dogs when the awkward chirping sound fills the air. The playful pack bounces onto and over one another; their barks are high-pitched and nothing like that of a domestic dog, each sound connoting a communiqué. Sometimes they’ll even play next to the vehicle, examining what it is, and what that sound and that smell, other than their own heavy musk, could be. 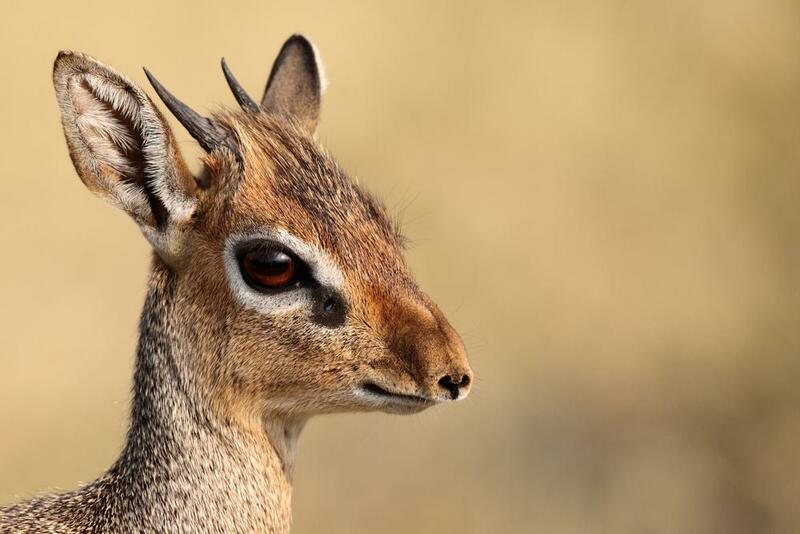 Their disc-like ears point outward and their prominent snouts rise into the air showing dominance. Until they lose interest. The pack then runs into the tall grass and disappears back into the wild. After breakfast, pull yourself away from the luxuries of the Ngorongoro Serena Lodge and travel to the Olduvai Gorge where the oldest remains of human life were found, giving the area the title, “Cradle of Life.” The gorge’s coloration shifts from around the rim of the gorge, where the trees lessen and the sand expands. The rim glows with a rusty red while the earth descending to the gorge’s floor lightens to a sandy brown. Enjoy a picnic lunch in the gorge and watch the sun stretch high above the colorful monolith, its brilliant red glowing in the afternoon sun. Continue on to the world famous Serengeti, sung about in Toto’s top hit Africa, reaching #1 on the US Billboard Hot 100. 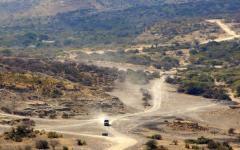 Known to the local Maasai as the “Endless Plains,” a drive to the Serengeti Serena Lodge is a safari in itself. Look out across the vast expanse of zebra and wildebeest herds that crowd the endless plain until the entirety of the horizon looks like one big silhouette. The wildebeest trot single file across the grass, sometimes keeping pace with the vehicle, as dust from their hooves kicks into the air. The wildlife seems endless until you reach the lodge and settle into another night of luxury with the sounds of East Africa ringing in the moonlight. The dome-shaped villas of the Serena Serengeti Lodge have windows that open to the Serengeti where you can watch the wildlife from the comforts of your bed, but why not get closer? 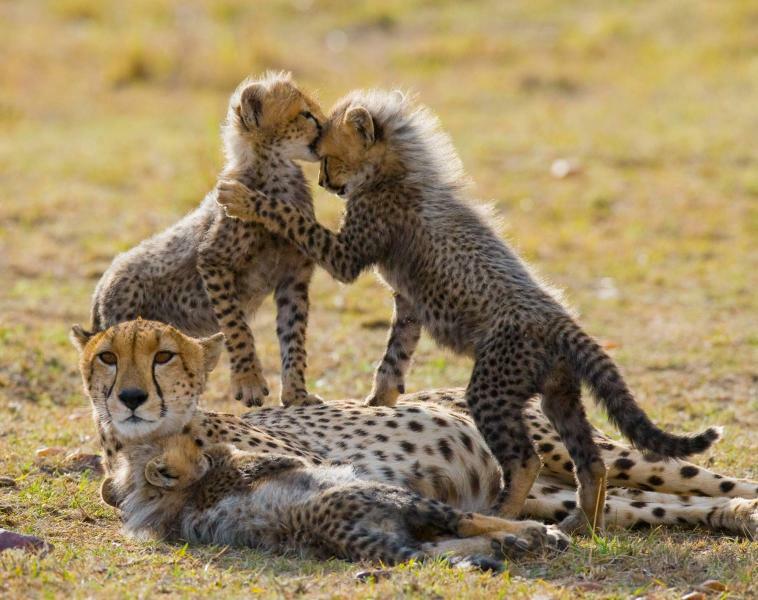 Enjoy the morning cup of coffee and delectable breakfast before heading into the Serengeti to find the incredible collection of animals that call the area home. The smell of dry grass is ever constant in the Serengeti winter. 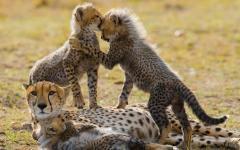 The animals scour the plains for watering holes, making every water source a treat but also a potential danger. Hyena, once thought to be nocturnal, skulk through the long grass. Their necks stretched far from their bodies, their snouts lingering just above the earth. Although one hyena is cowardice, a cackle of hyenas is vicious and opportunistic. Their hoots and laughter can be heard echoing in the open sky calling their compatriots to an area for food or a fight. The plains sway in the breeze as animals raise their heads to cool themselves from the high sun, and often loiter in the shade of trees, rocks, or large grass. Keep your eyes open, your binocular handy, and the wonders will be infinite. Enjoy an early breakfast before transferring to the Seronera Airstrip. 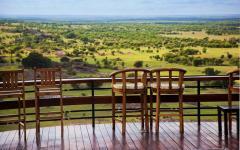 Lift above the Serengeti plains and watch the animals roam in the early sun, sit atop rocks, and linger in the canopy of the sparse trees. The air feels quiet from above. 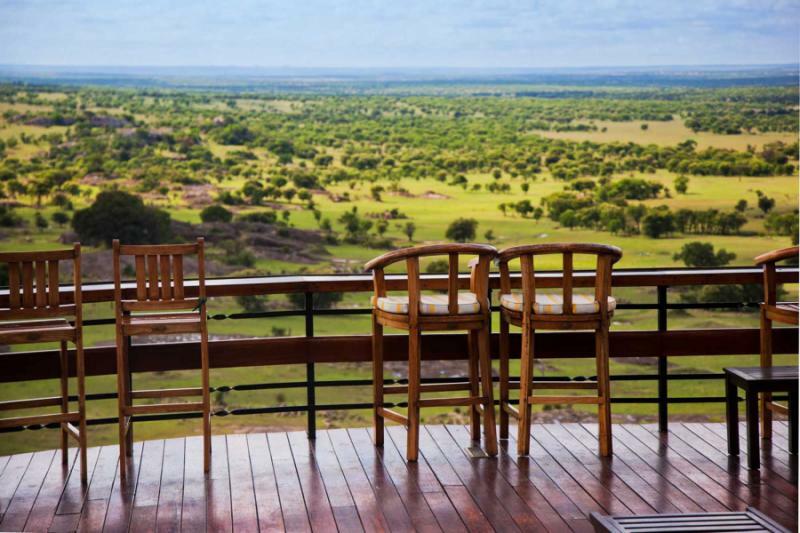 The Serengeti, filled with vivacious wildlife, seems peaceful as you rise higher into the sky. Weave through the clouds, glide in the sunlight, and drift over Tanzania until the plains disappear and you arrive in Arusha. Visit the traveler reviews of Tanzania safaris. You will see that Zicasso prides itself on creating incredible, tailor made vacations to help you discover the luxuries and majesties of the world. 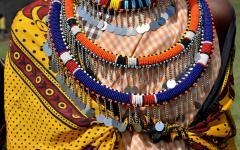 Customize your six-day Tanzanian adventure to encompass the East Africa you have always wanted to experience. 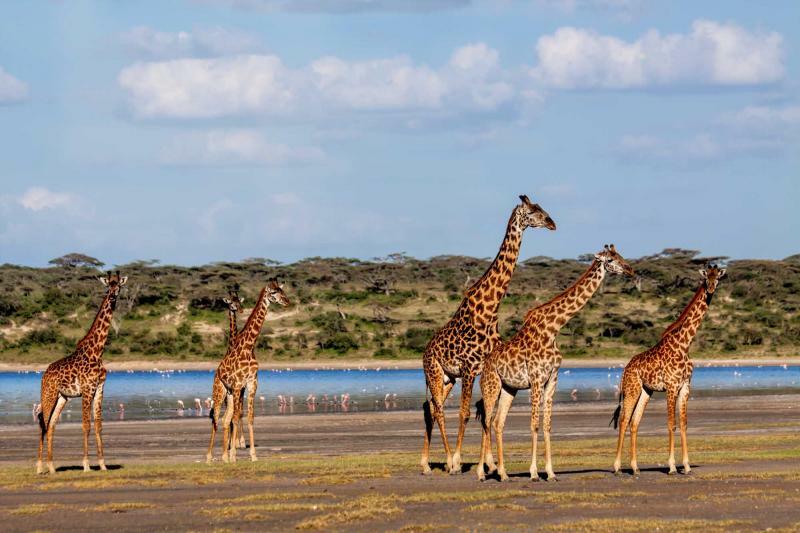 Whether taking a hot air balloon ride over the Serengeti, traveling to see the shifting black sand dunes of the Ngorongoro Conservation Area or having a champagne breakfast next to the pristine water of Lake Manyara, a representative will ensure every day of your travel is customized to perfection. The memories of your trip will last forever, but why have them only as memories? Keep the safari going by traveling to Zanzibar to see the clear, warm ocean, or continue on to Nairobi for more exciting adventures. Wherever you may go, the new experiences will last forever.